Where is the crypto market now? When bubbles occur, speculators get fixated on the price and lose sight of the underlying technology which in effect creates the bubble in the first place. In the wake of the crypto bubble bursting, most speculators continued fixated on the price until final capitulation and disillusionment – this is indicative of the price action in late 2018. Eventually, investors seeking long-term growth in a burgeoning industry arrive and kick off the accumulation period. 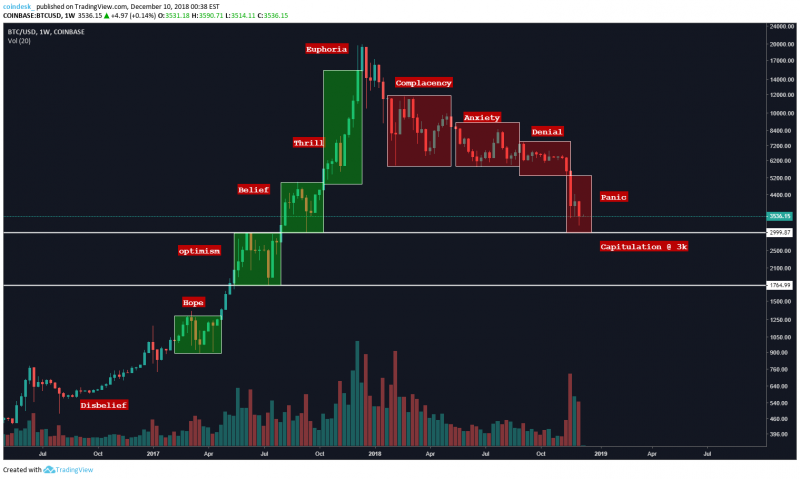 The market activity witnessed so far in 2019 certainly resembles this trend. Despite the relatively low market capitalisation of cryptos there are some interesting statistics that show healthy activity in cryptos. Electricity consumption by miners globally reached all-time highs in Q4 2018. Job openings continue to grow. Crypto-to-to-crypto transaction volumes are increasingly rising. The crypto industry is seeing significantly reduced levels of interest for investment into funds or investment products. However, what is refreshing is elevated levels investment into the underlying blockchain infrastructure, technology. National Regulators are also paying far greater attention to the industry. While crypto prices are at depressed levels, institutions are waking up to this new asset class and the global finance industry is scurrying to prepare for the next wave of demand. There are many extinguished investors that hold mixed thoughts on cryptos. Those unimpressed with the technology point out the lack of use cases and evidently, they would be correct. There is one large use case that is of interest where billions of dollars of value is being digitally transacted using cryptos across the planet between two parties within minutes with increasing levels of security (some surpassing regulated banks). With stable coins – it is now possible to own tokens that are backed by USD which means you get to choose to hold dollars on the blockchain or in your bank account. Furthermore, there is greater movement and coverage by the global banking industry. The argument around few use cases relating to utility tokens is certainly a strong one. The technology is still too immature to entice age old industries to begin using the technology although testing has commenced. However, in theory the use of blockchain in areas such as personal information management, medical information and treatments, identification, food security, asset protection and many more is ground breaking. While the recent crash in crypto prices has caused a shock, the ship continues in the same direction toward a more decentralised future. In order to build mass scale global systems with even greater capabilities and speed, there is a huge amount of infrastructure required. One could argue the slowdown in adoption is fortuitous before the next wave of demand commences. Multiple blockchains with varying protocols, scalability and use cases need to mature to the point where they are fast efficient, and easy to integrate. Inter-chain capabilities are necessary to ensure value and information sharing is seamless between the networks. The tools and infrastructure needed to support the development of distributed applications are still in their infancy, making it extremely slow and costly to develop even the simplest applications. This will improve over time, allowing developers to build more feature rich applications with better user interfaces. Mass scale adoption of crypto and blockchain will only happen when their usability approaches that of current centralized systems. Currently, the greatest headwind/risk to this development is regulation. The longer governments drag their feet along with their decision makers, the greater the risk to the blockchain. In other words, forward thinking governments that embrace the benefits of blockchain and crypto are necessary to move the industry forward. The digitisation of property and real estate is likely to occur in the near term. This is a significant step and use case for the blockchain. Effectively, a fiat revenue generator will be converted to a crypto revenue generator. This has many more effects such as the ability to then lend in cryptos with security being provided in cryptos with a secure revenue stream. If this proliferates a new level of stability will be brought into the blockchain that will support the move from fiat to cryptos. What can history show us? We believe that the Dot Com and internet era as well as the social media era are prime examples of how technologies are adopted in this day and age. In early 2000 during the tech bubble or dotcom crash many investors thought the internet and the future of tech companies was over. However, when we review the data today these analysts could not have been more wrong. 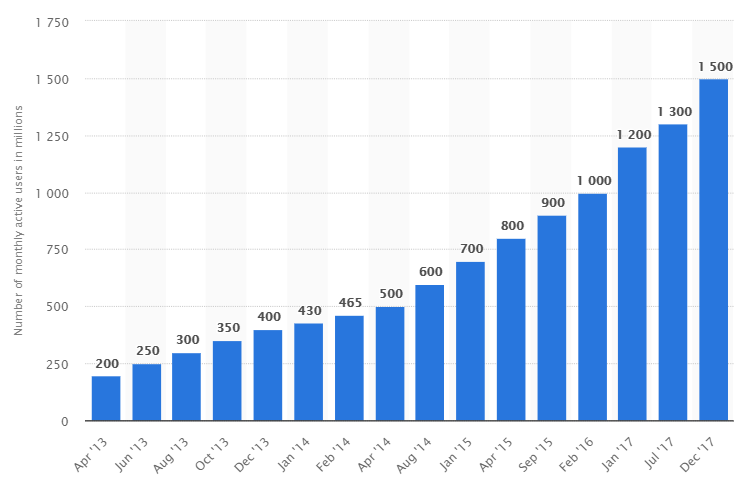 The internet data speaks for itself but it is clear the growth in activity, revenues and number of users has increased exponentially while the cost of the hardware, software and usage has reduced significantly. In the past couple of years just when the internet and accompanying revenues seemed to be hitting a ceiling, companies like Uber and Airbnb entered the framework disrupting the transport and hotel industries forever. In a very short space of time, these companies became the biggest taxi services and hotel providers without owning a single taxi or hotel room on the planet, respectively. The blockchain promises similar disruption. The statistics at this stage are still similar to those of the internet in the early 2000s after the dotcom bubble i.e. the usage and activity remains at elevated levels but is yet to be translated into use cases such as Skype, Whatsapp, Amazon and Facebook that all experienced exponential growth in activity and revenues, respectively. 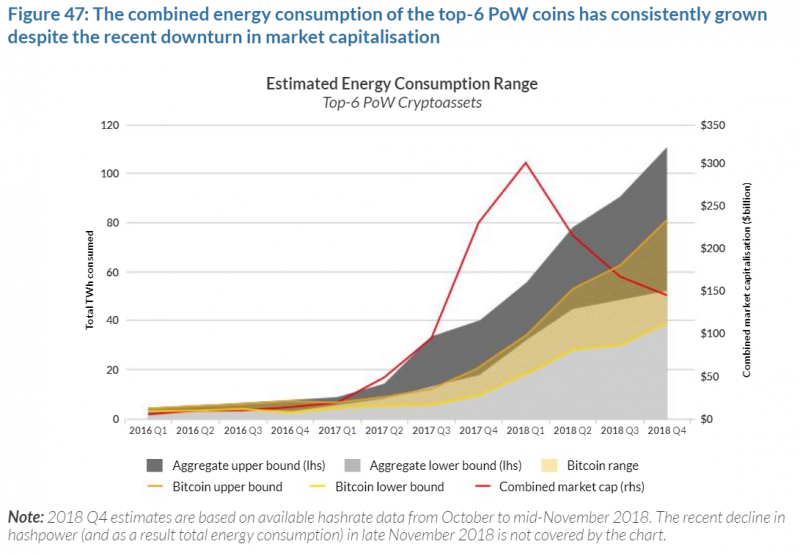 Two critical points showing continued activity in the Blockchain network are employment and mining electricity consumption. Both show that despite the weak crypto price performances, activity remains resilient. While this is not necessarily an indication of future performance of the industry, these are longer term investment decisions and therefore an indication that there are still new products and services in the pipeline in the medium to long term. They are important indicators to keep a watchful eye on. 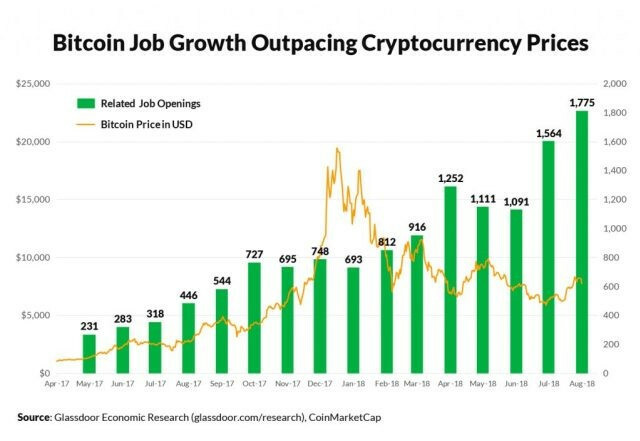 While this datapoint is not necessarily indicative of activity or investment in the ecosystem but more likely of speculative behaviour, it does indicate growth and increased awareness of the blockchain and bitcoin. 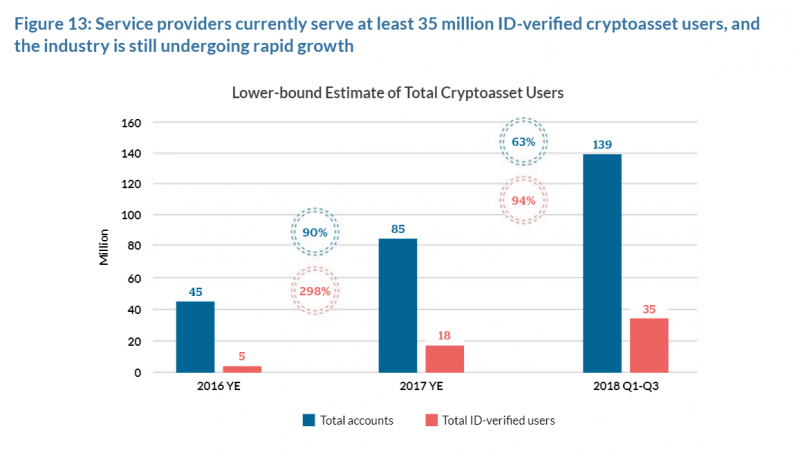 It also shows that despite the crash in crypto prices serious (ID-verified) users continue into the space at rapid rates. The number of Bitcoin transactions per day is stabilising and showing an upward trend which indicates continued interest and support of the technology. Very poor user interfaces and user experience, generally due to limited development frameworks, and the general limitations of the underlying technology. 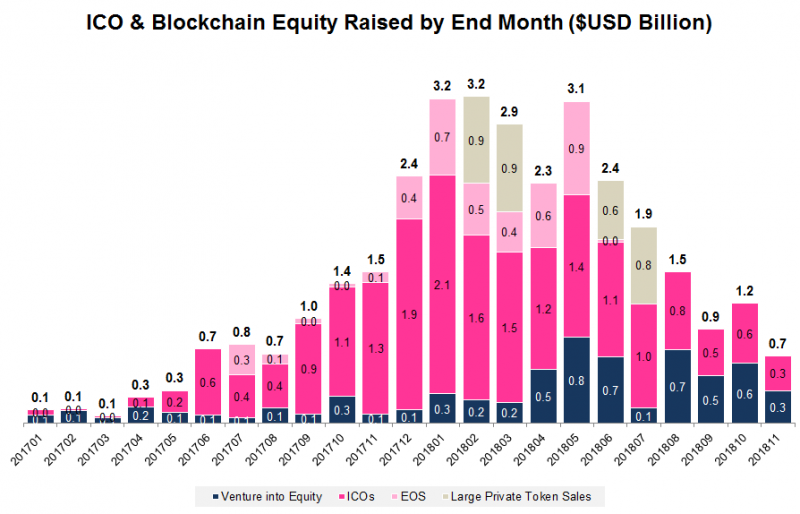 Investment continues to flow into Blockchain projects at 7x the amount invested in the early parts of 2017. More importantly, with the breakdown of the ICO funding model, venture capital investment into the sector has increased significantly. The regulatory environment is an extremely important factor for the entire crypto ecosystem. The regulators of major world markets such as the SEC, FCE, FINMA, EU etc. have been unanimous in their message, which consistently endorses blockchain and crypto and consider it as a valuable addition to the financial market. As can be expected, their biggest concerns relate to investor protection, especially in the wake of the ICO craze where investors were duped out of millions by unscrupulous crypto projects. Virtual currency regulation in the European Union is still in its early stages, and even though the EU FinTech Task Force is working on the harmonization of the existing national laws regulating virtual currencies, most individual member states have undertaken separate legislative strategies in accordance with their specific legal traditions and practices. Although definitive regulations may not be in place, most countries’ regulators have setup task groups to allow them to better understand virtual currencies, many of which have issued regulatory guidelines. This is an important step as it provides guidance in a space where none existed previously. Below is a traffic light display on how nations are dealing with Bitcoin. Red is banned or illegal. Yellow is tolerated/not regulated/in process of being regulated. Green is legal/adopted/encouraged. Interestingly, according to a Library of Congress report in the US, countries such as Ireland, China, Lithuania and Venezuela among others are either in the process of or are already issuing National or Regional Cryptocurrencies. In a small number of jurisdictions surveyed cryptocurrencies are accepted as a means of payment. In the Swiss Cantons of Zug and a municipality within Ticino, cryptocurrencies are accepted as a means of payment even by government agencies. The Isle of Man and Mexico also permit the use of cryptocurrencies as a means of payment along with their national currency. Much like governments around the world that fund various projects by selling government bonds, the government of Antigua and Barbuda allows the funding of projects and charities through government-supported ICOs. The Blockchain industry is working tirelessly with Regulators to assist them in understanding the industry and influencing them as they make their next steps. The KYC regulation requirements have had a major impact on exchanges. Most serious industry participants have created more secure KYC offerings when compared to many regulated bank offerings similar services in many formal market places. CoinDesk, Forrester Research , CTIA, Radicati Group, Technorati, Wikipedia, Google, and Microsoft.